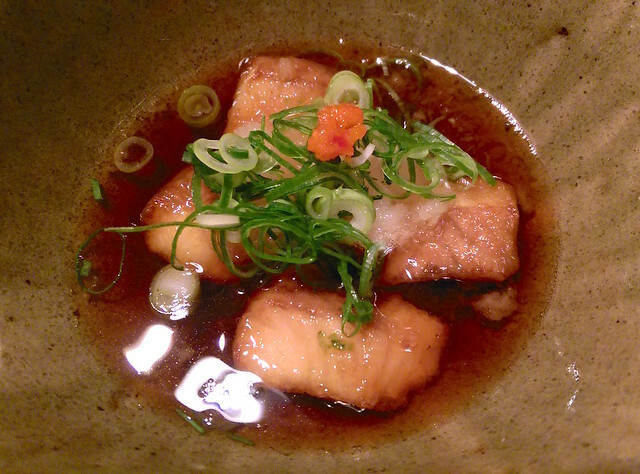 The five of us had dinner at Kokoromai, a Michelin Bib Gourmand awarded restaurant. The main entrance is unnoticeable from outside and easy to miss, as it is on the side of a building, at the top of a narrow stairway. Rice, of course, is not a singular noun in Japan. Dozens of different strains exist, with climate and geography determining the flavor and character just as terroirdoes for grapes and their resulting wine. Kokoromai serves eight varieties of plain white rice, each identified by the prefecture of its origin and even the name of the farmer who grew it. In addition, they also prepare genmai (very lightly polished brown rice) and zakkoku, mixed with grains such as millet and barley. 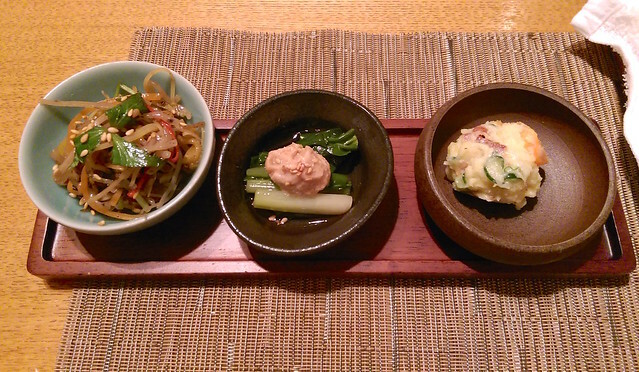 Rice may hold center stage at Kokoromai, but custom still dictates that you only eat it at the end of your meal. The reason why you need to consider at the start of the meal the course that usually concludes it is that each serving of rice is individually cooked to order. 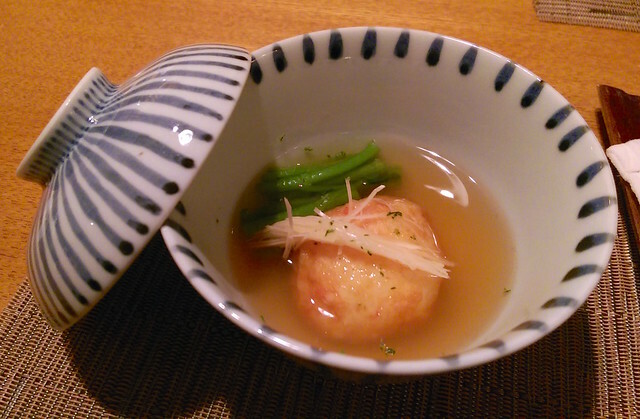 It is prepared in the traditional way, simmered slowly in ceramic do-nabe, spherical cooking pots the size of small melons, with a dark brown glaze and heavy, snug-fitting lids to match. The results are delicious, but it’s a process that can take half an hour or more, hence the need to plan ahead. Since the menu was in Japanese, we requested ahead of time (when we made reservations) for omakase (お任せ), a set of dishes selected by the chef. 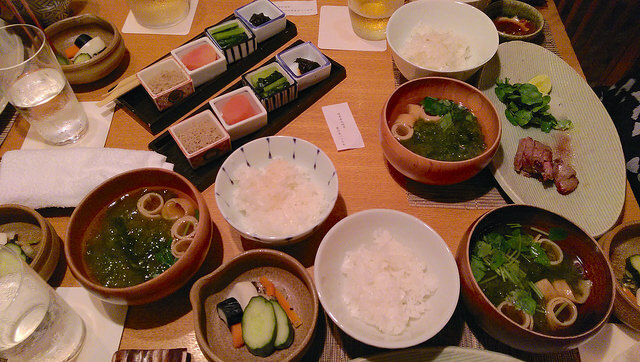 We had two different kinds of rice, which was also selected by the chef. Here’s what we had! 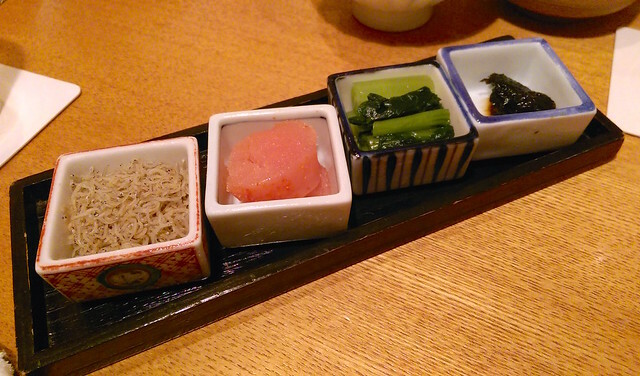 In the photo above, from left to right, we had chirimen jako (young salted dried sardines), tarako (salted roe), komatsuna (mustard spinach), and nori no tsukudani (laver seaweed with soy sauce and mirin). 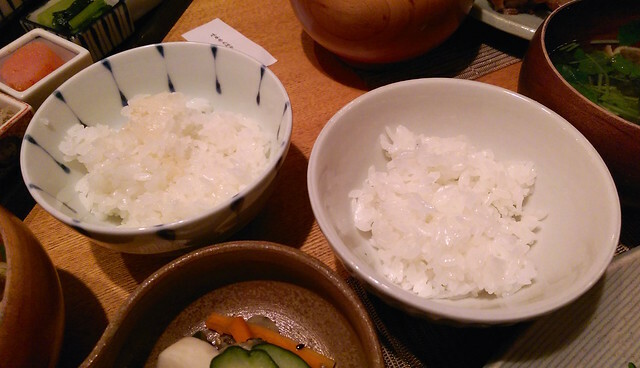 We were served two kinds of rice. 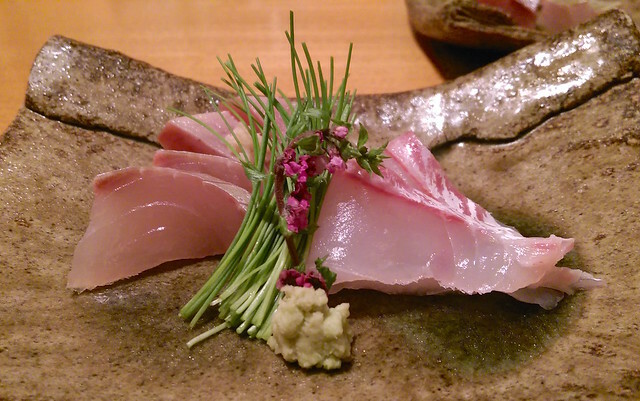 One was Nikomaru, from Oita Prefecture and JAS approved. 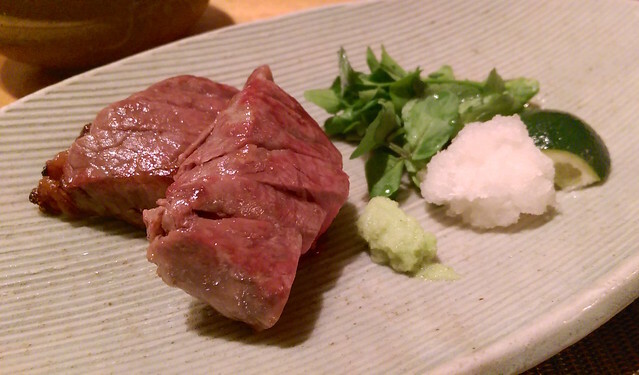 The other was Hatsushimo, from Gifu Prefecture. 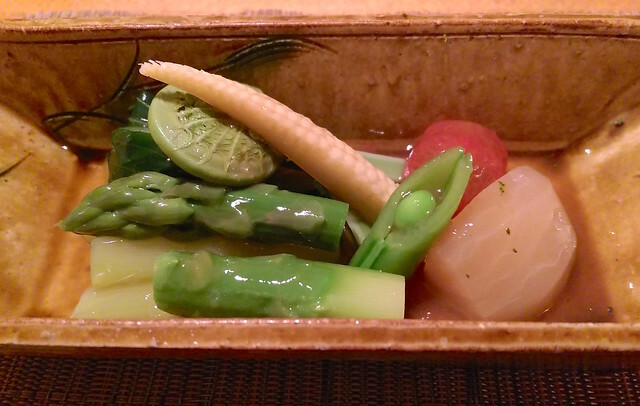 We had pickled vegetables and soup at the end of our omakase dinner. All in all, we really enjoyed the dinner and can definitely recommend this place. Just be sure to call in advance to place a reservation as seats can fill up quickly!